On Second Thought: I Need To Watch ‘Cemetery Man aka Dellamorte Dellamore’ Again! There have been a few horror movies throughout my life that have come highly recommended to me. So naturally I get comfortable, watch them, and for the most part I end up highly recommending them to someone else. I like to pay it forward. But sometimes, one of those highly recommended horror movies ends up stumping my brain to the point that I don’t really see what all of the fuss is about. Such was the case when I first sat down with the 1994 Italian horror/comedy Cemetery Man aka Dellamorte Dellamore (which is a much better title in my opinion). Now don’t go grabbing your torches and pitchforks just because I didn’t quite get into Cemetery Man the first time I watched it. 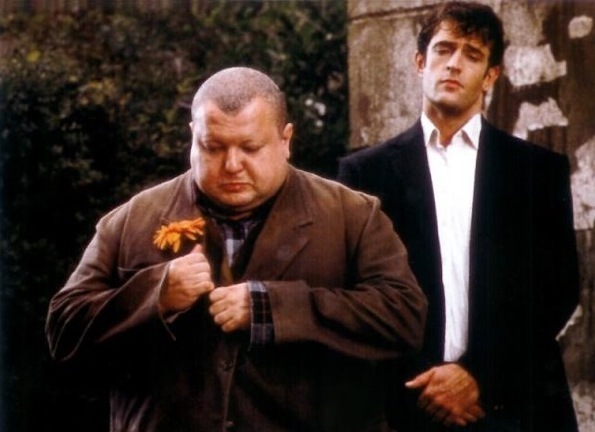 I know it has a strong cult following, and I know it has Rupert Everett in it and he’s a well respected actor. And honestly, I love the horror/comedy concept – but considering I saw Dead Alive before I saw Cemetery Man, I’m thinking that my expectations may have been a tad high since Dead Alive blew me away as far as horror comedies go. Rat monkeys and karate priests are hard to top. Considering the amount of horror crap I’ve watched though in the 15 some odd years since my first viewing of Dellamorte Dellamore (again, I like this title more), I guess I should kind of be ashamed that I haven’t rewatched it since. Fear not though! I do want to revisit it, and want to revisit it soon. I just need some motivation. Something that I can hold onto. Something that stands out. Something round and supple that will definitely make me want to watch this movie again……..